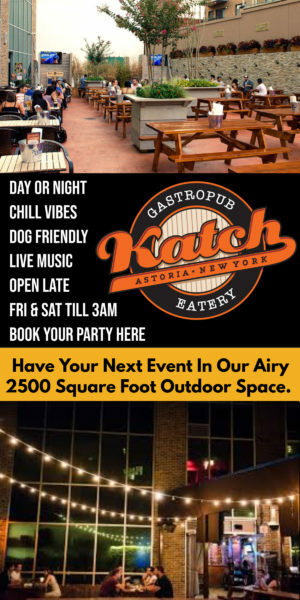 Thursday, after my time at the St. Demetrios Greek Fair, I decided to check out Katch, a new sports bar that opened up in the Pistilli building on Newtown. 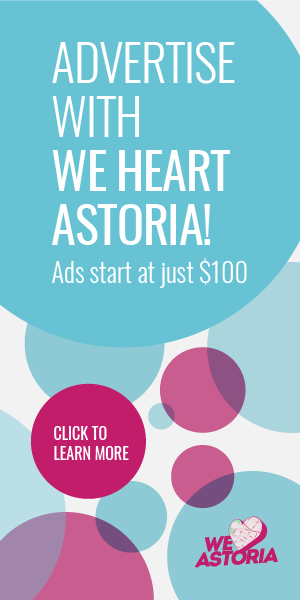 It was their grand opening, and boy did Astoria come out to meet them. The place was busy when I arrived around 6:15pm but by the time I left at 8pm, it was crazy packed. 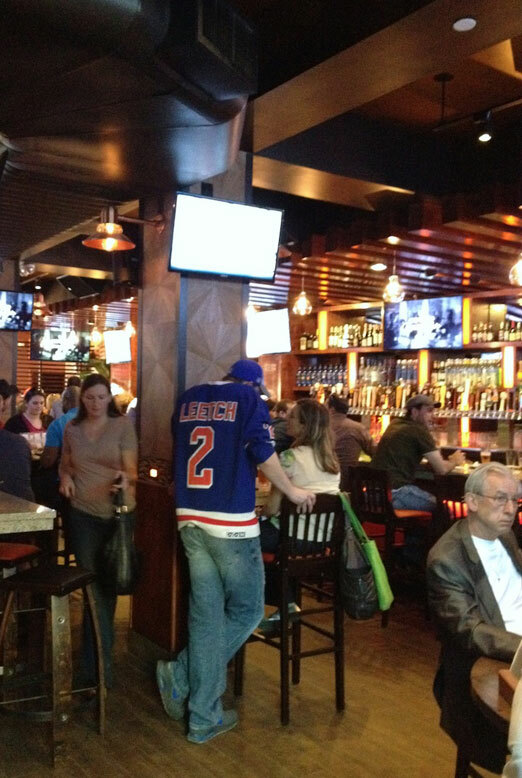 People had been anticipating this place for months, so I think they were happy to be there. 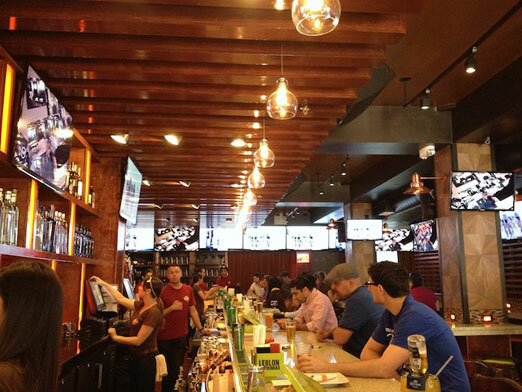 This was my vantage point down the bar – lots of people enjoying beer and food. The guy around the corner from me seemed to be enjoying his wings quite a bit. I didn’t try the food (I was full from the gyro and loukoumades I ate before I arrived). 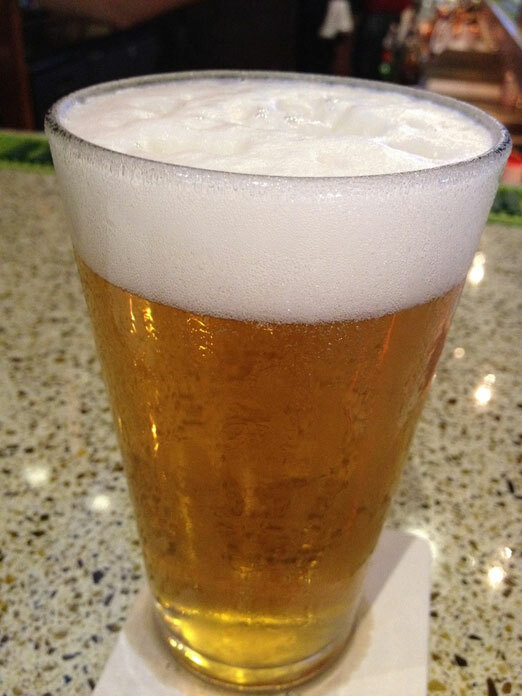 I did, however, order a pint of SingleCut’s 19-33 Lagrrr. It was as delicious as usual. This pint has a particularly thick head on it compared to other places I’ve had it (SingleCut and 5 Napkin). 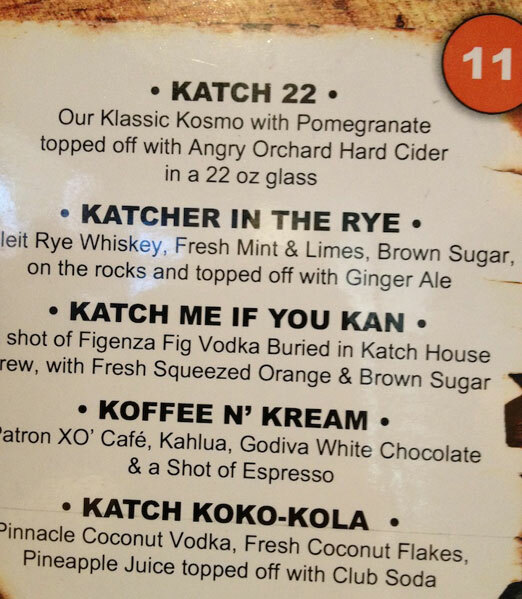 Katch has a number of cocktails to offer along with their extensive beer menu. They’ve livened their names up with the insertion of “K” where they can in the titles. My bartender highly recommended the Katch 22, a Cosmo made with fig vodka. Here’s a view from the back looking toward the front. 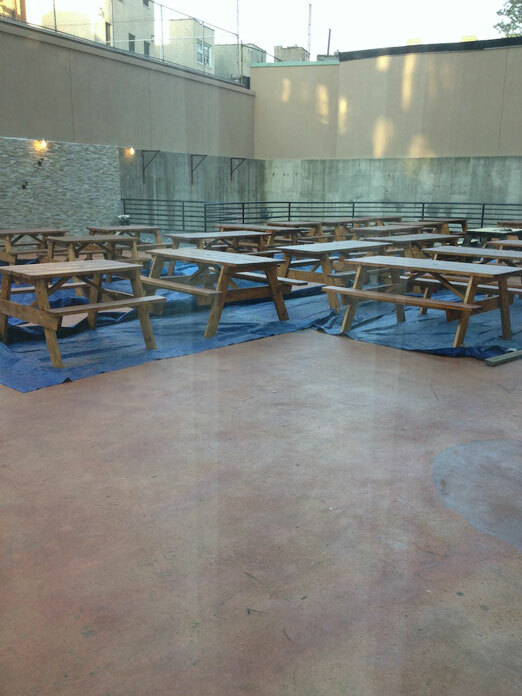 And speaking of the back, there is a large outdoor space that we hope will open soon – kind of a beer garden. There are a number of picnic tables hanging out back there. It should be a nice place to hang out come summer – we don’t know when they will open it, but a good guess is Memorial Day weekend, which is coming up! 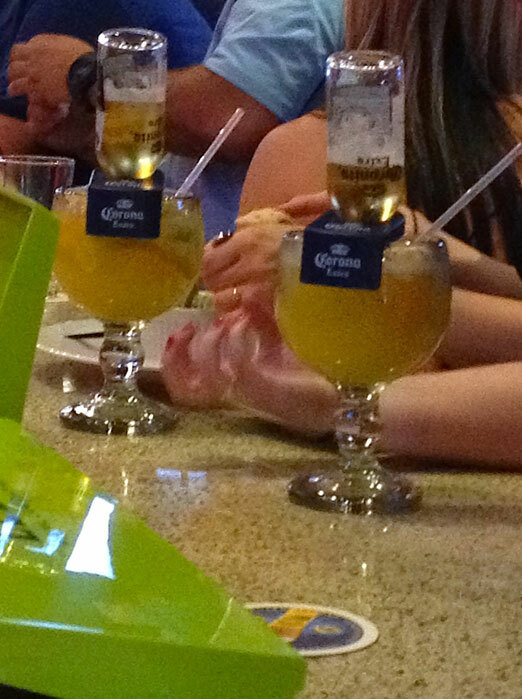 Now, before I left, I spied these drinks – they are big goblets with citrus in there, with a Corona balanced in a plastic holder on top. Perhaps this is just a giant Corona serving? 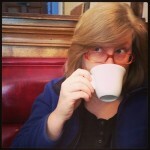 I’m definitely curious – I neglected to ask on my way out. 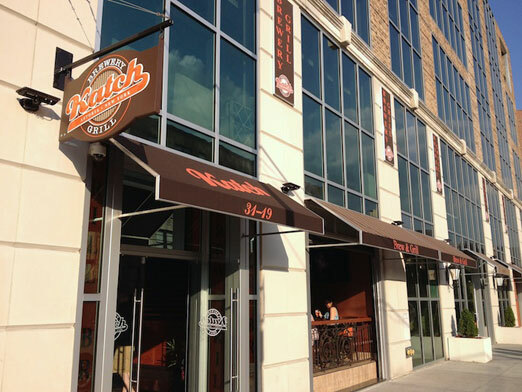 Along with the beer and cocktails, Katch also serves food – pub grub like the aforementioned wings, nachos, tacos, a variety of pizzas (including one with Nutella and bananas), burgers and sliders, pressed sandwiches like a Cubano, plates including meatloaf and ribs, and a variety of salads. Here’s their menu (.pdf) for a broader look at their offerings. I noticed that they had a lot of TVs up (it is a sports bar, after all), so this would be a nice place to grab a beer and watch the game. The TVs had amazing picture quality, and they were playing a variety of sports, including the Yankee game and even the Tour de California (a bicycle race – think Tour de France but in CA). With that in mind, perhaps this would be a good place to see Wimbledon or other Grand Slam tennis matches. We wish the owners and staff well and hope Katch is a success!